Your car uses a manual stainless steel antenna to receive both AM and FM broadcast signals. Pull up the antenna using your fingers, as shown in the drawing. 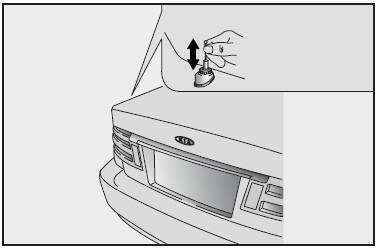 Before entering an automatic car wash be sure that the antenna is fully retracted.